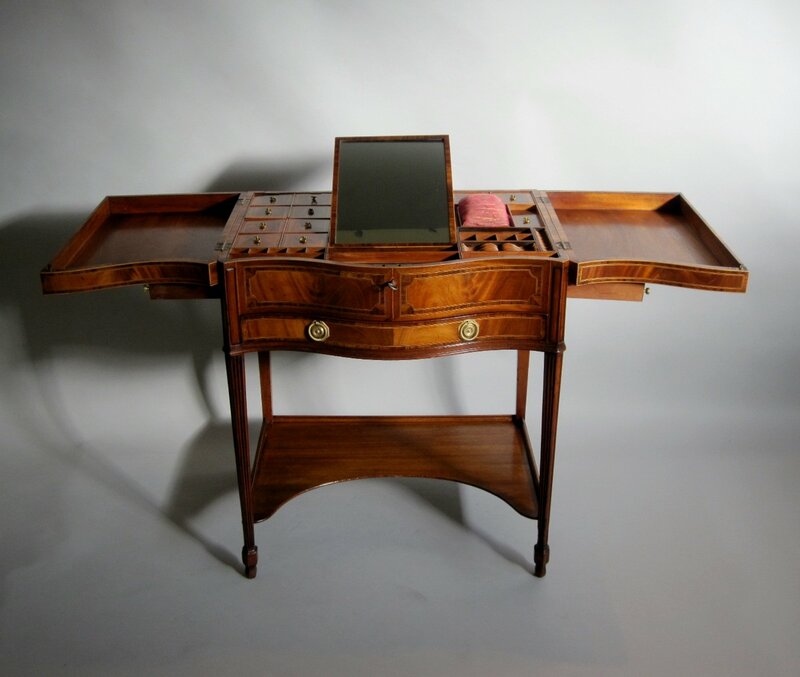 A FINE 18th CENTURY CHIPPENDALE PERIOD MAHOGANY SERPENTINE DRESSING TABLE. GEORGE III, CIRCA 1775. A very elegant piece, cross banded in rosewood throughout with box line stringing, the shaped top opening to reveal an arrangement of lidded compartments and boxes & with a central rising looking glass, and over a single shallow drawer, raised on shaped reeded legs united by a lower shaped shelf.